Preserving the books, providing information and space for reading has been the very purpose of libraries for ages. But today, at a time when information is at the disposal of the users around the clock through digital modes – are libraries still relevant and should resource be spent on libraries. One cannot debate the fact that a visit to the library is on a decline. “Even though information dissemination is not restricted due to the internet, the challenge is that there is an overload of information and its authenticity cannot be guaranteed. So, libraries will be needed by students, academicians and researchers alike to receive quality information,” he says. “It is irrelevant if libraries are only providing space for reading /learning or accessing the books. You need to provide a space that people want to come to, hold discussions on books and writers. We need provisions such as therapy for elders and meditation for all. There should be space that caters to the need of the children, budding readers and grown-ups alike- all this will ensure that libraries never get obsolete,” he says. 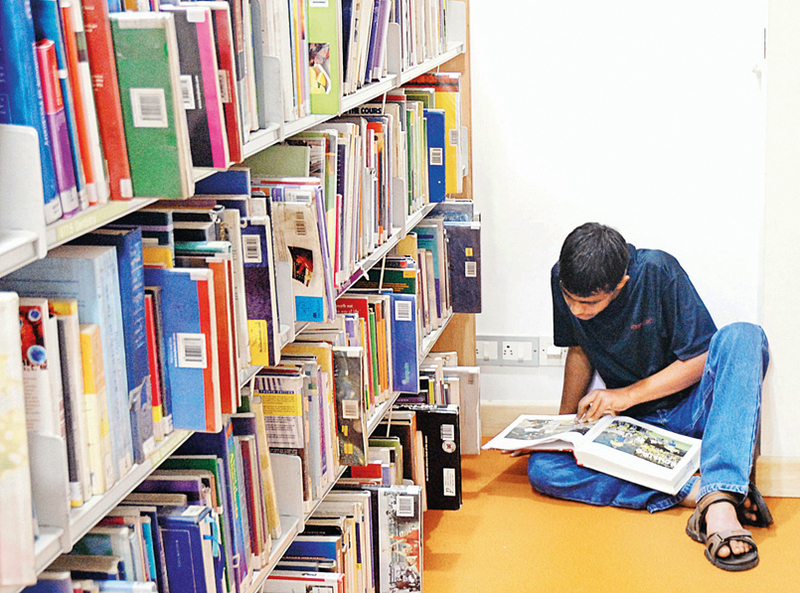 Libraries are the need of the hour to inculcate reading habits in children. Today, our society is drifting away from reading to simply viewing a screen, due to which students are losing creative and analytical abilities.